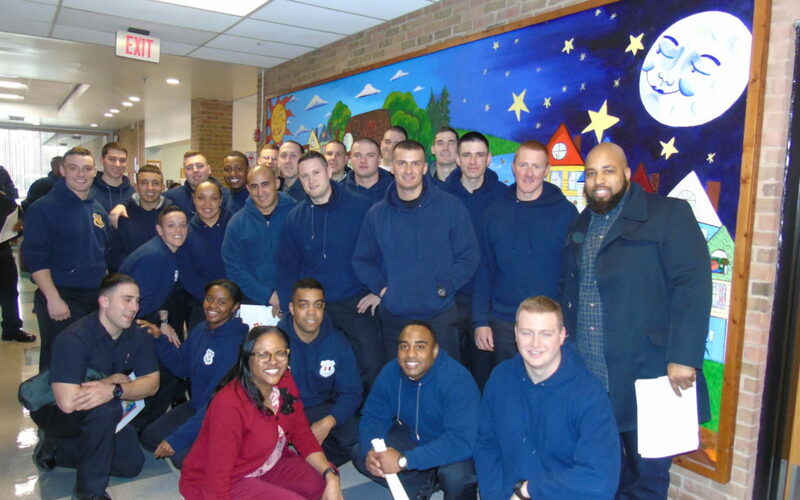 More than two dozen Cleveland Police cadets visited Head Start students and staff members at the Council for Economic Opportunities’ William Patrick Day Head Start Center. During their visit, the cadets broke into two groups: one group visited the classrooms to read to the students, and the other group spoke to the staff members about William Patrick Day and the resources available to children in the community. That group also talked about how to best foster and grow the youngest members of Cleveland’s community so they can thrive as kids, young adults and adults. The students always enjoy learning more about police officers and having guest readers in their classroom, and the staff enjoyed a productive conversation with the cadets!